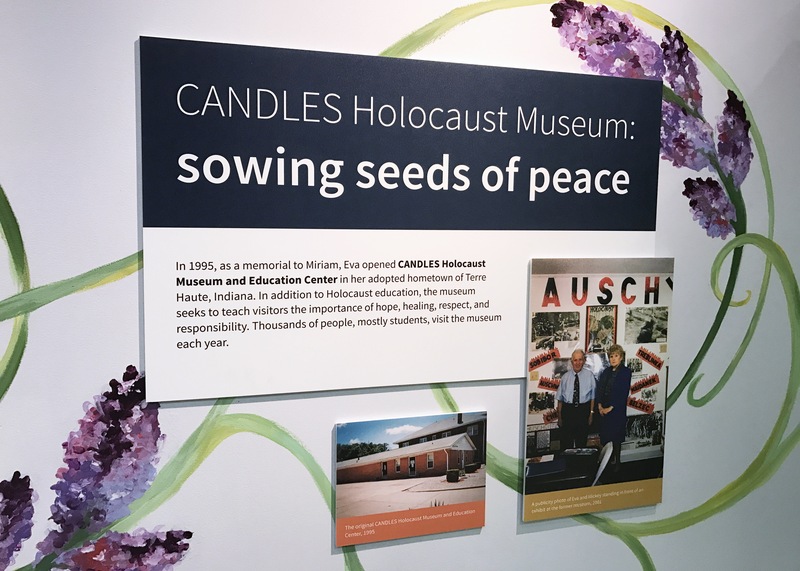 Originally opened in 1995, CANDLES Holocaust Museum is focused on preventing prejudice and expanding acceptance through education about the Holocaust. The museum itself is the result of the lifelong works of both Eva Mozes Kor and her twin sister Miriam Mozes Zieger. These brave women are not only survivors of the Holocaust but they were part of Dr. Mengele’s experiments; gruesome tests run on twins, usually resulting in death. CANDLES is actually an acronym for Children of Auschwitz Nazi Deadly Lab Experiments Survivors and in 1984, the sisters founded the CANDLES organization in an effort to locate other surviving Mengele twins. 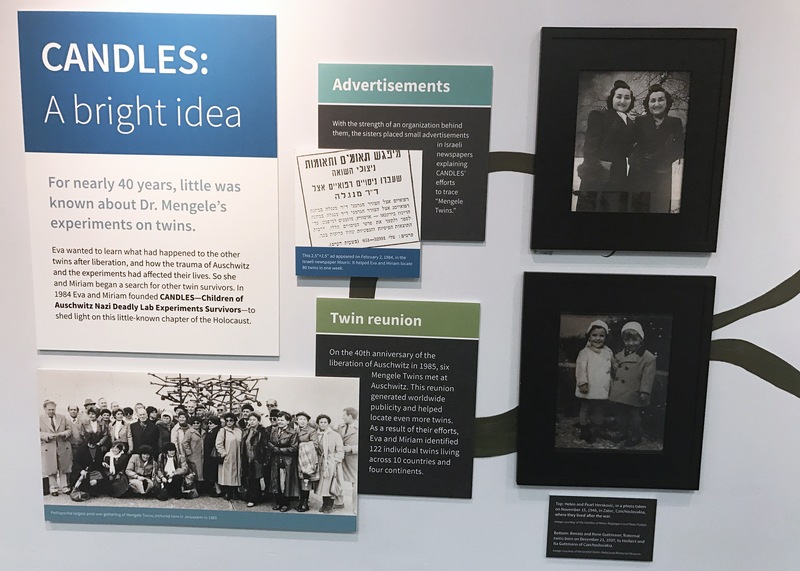 Together, through the organization, the Mozes twins were able to find an additional 122 individual Mengele twins living in ten countries and four continents. Their efforts have not stopped there and the search continues. 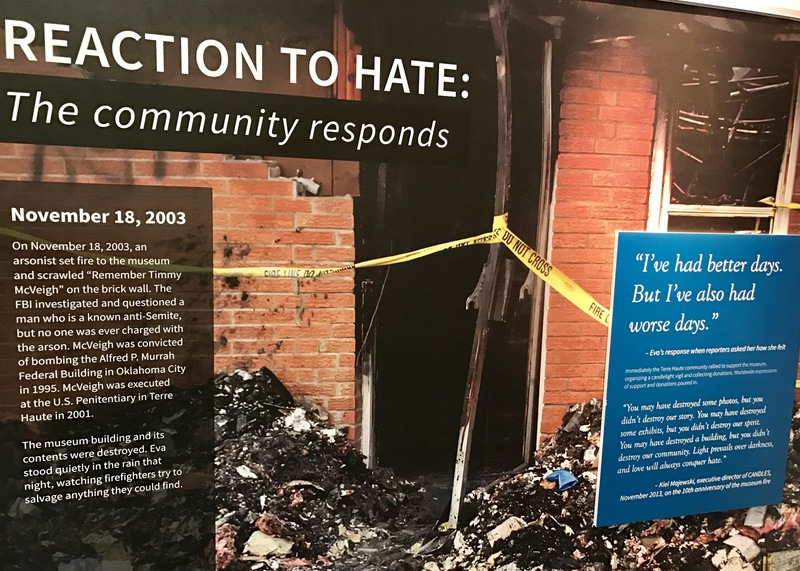 In 2003, the museum was burned down by an arsonist angered by the efforts of the museum. Eva refused to be swayed from her cause and with her community’s aide reopened CANDLES Holocaust Museum in 2005. Stepping inside of the museum is like walking into a family’s memorial. 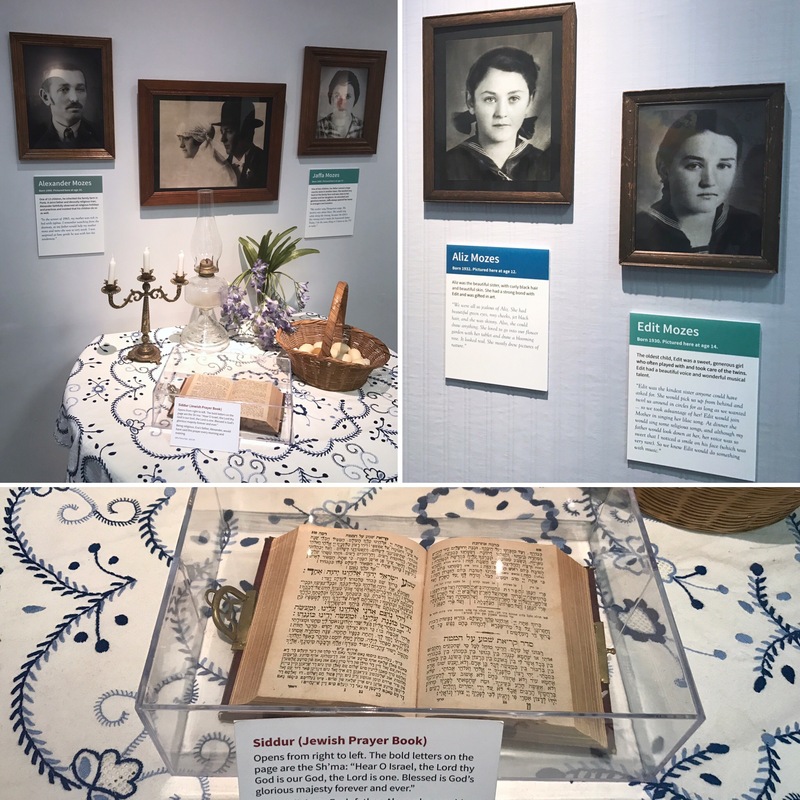 Photographs of the Mozes family are on display and the family’s Siddur (Jewish Prayer Book) greets guests as they begin the tour. 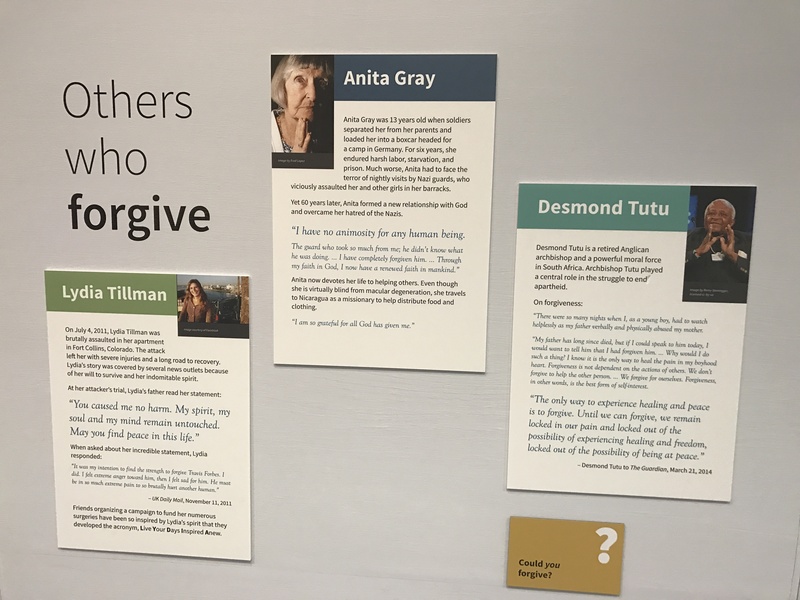 Throughout the museum, there are various stations explaining all that Eva and her sister endured as well as how the situations escalated. From the early days when not enough would take a stand to a few rights being taken away and finally the all out genocide of a people, here, you will find the story told. Standing around a small video podium, our littles listened as those who had been there talked of their own memories. 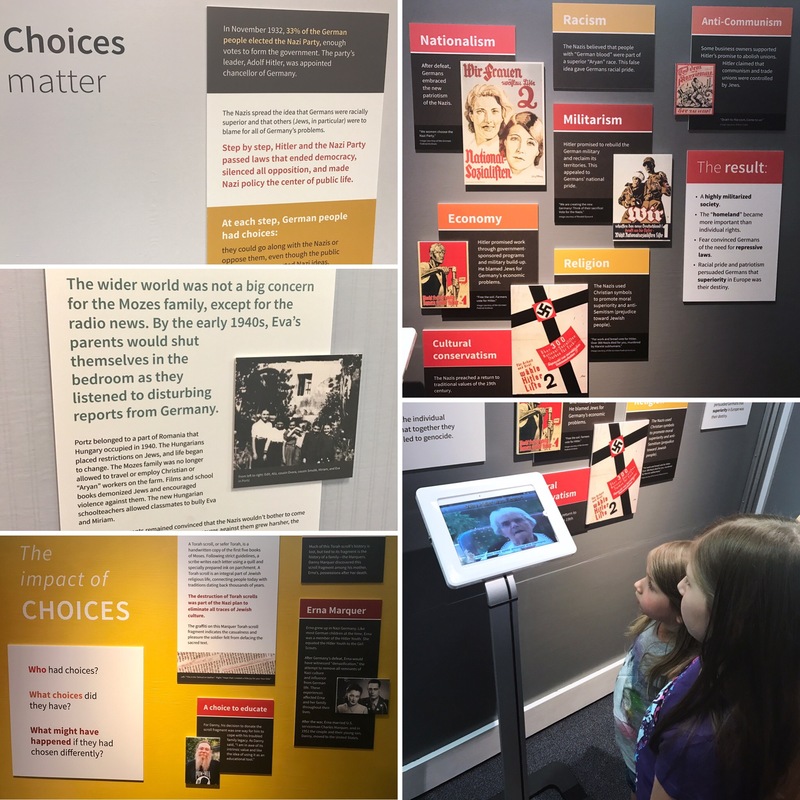 We read the posters describing Hitler’s rise and talked about why voting is so important. If we the people do not speak from our hearts and against hate then we leave the door open for those who wish to destroy the good. Our oldest asked a million questions and I was proud of her for realizing that standing aside during these times was just as horrible as being a part of the horrendous acts. Her mind began working at the subject and while she is still very young, I feel this was an important visit for us to have made. 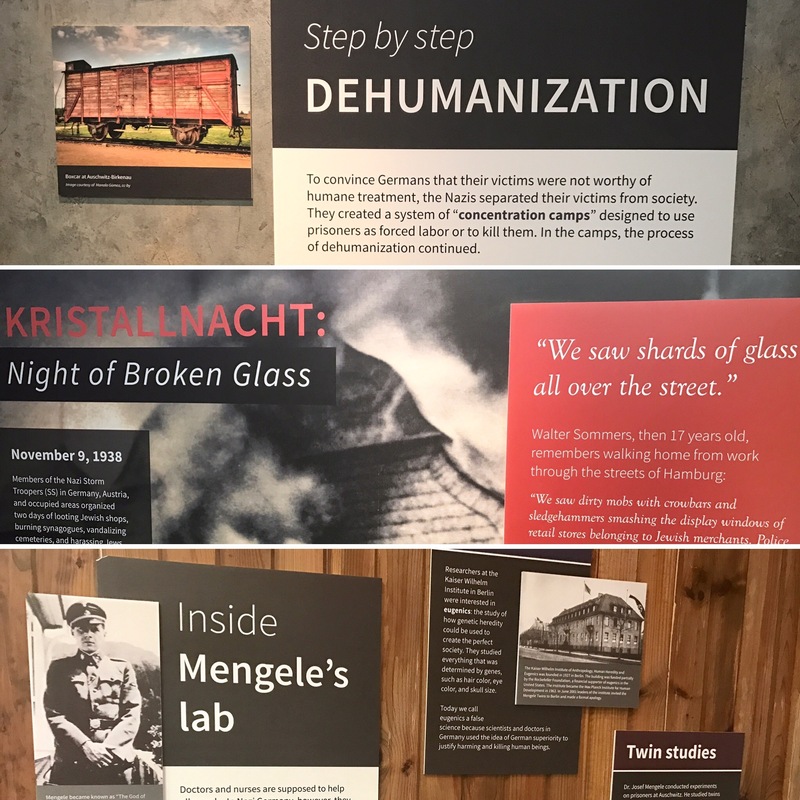 Down the line from the displays on how it all began is the story of the train-rides, concentration camps, and then the medical torture testing performed by Dr. Mengele. 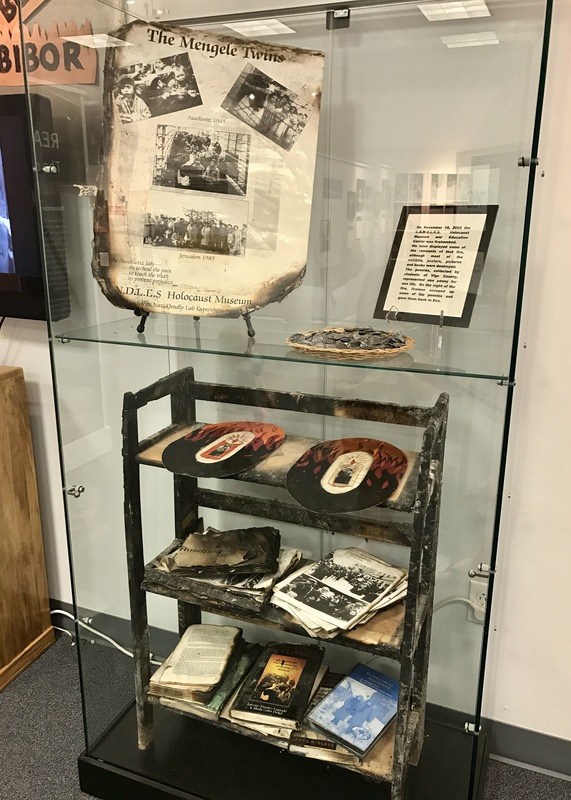 There is a prisoner’s uniform on display as well as an United States Army uniform while images of sickly children and the story of a mother, desperate to save her twins as well as others. Her tale of bravery for all to see. The unique aspect of the CANDLES Holocaust Museum is not in the story of what happened during the Holocaust though, but what happened after. Once we had seen all of the horrors the twins had gone through, Eva’s museum offered a ray of light. Despite all of the pain and the hardship, the Mozes sisters grew up to live full lives. 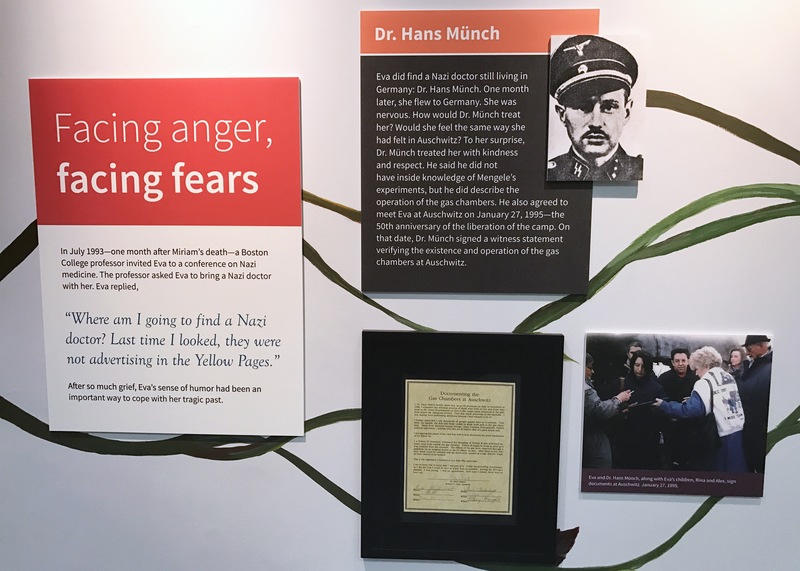 They started the CANDLES organization, they found more of the twins who had suffered, and Eva even came into contact with Dr. Hans Munch who had worked at Auschwitz where the experimentations had gone on. He would meet with her and eventually signed a witness statement verifying that the gas chambers did exist and were used against the Jewish population. 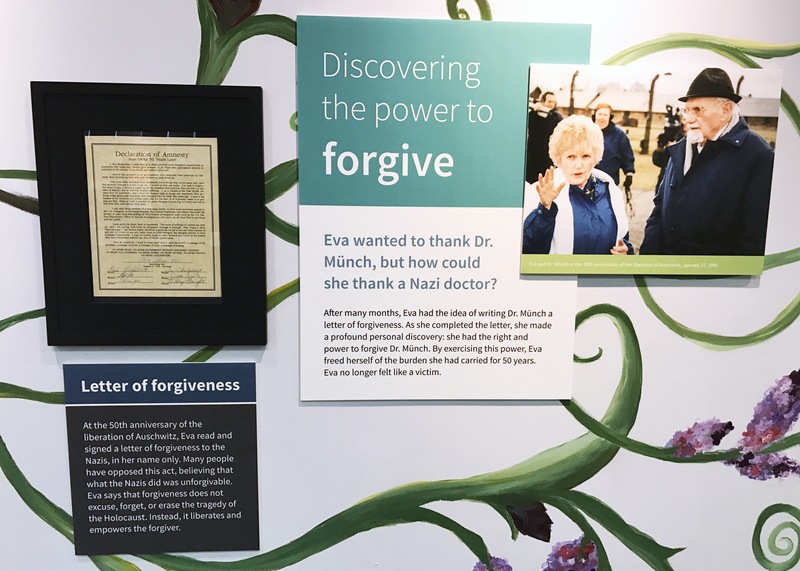 A few months later, Eva would embark on a personal journey of healing through forgiveness and it all started with a letter of forgiveness directed towards Dr. Munch. Since then, she has been speaking publically, helping others to cope with their pasts. She preaches about love, forgiveness, and regrowth and she is an amazing woman. If you ever get a chance to stop in at CANDLES Holocaust Museum, please do. It will be worth every moment carrying this piece of history with you forever. *Museum material is appropriate for middle school ages and up. They do not recommended bringing children under the age of six (6) years old but we did choose to take our 2, 4, and 6-year-old with no issues.